Apologies for the delay of part two of Contrarian Investment Strategies. It had been a really busy and tough week out for business trip. Anyway, continue from the previous post of Contrarian rules, below you will find the complete rules from 22th to 41st. I tend to agree with most of the rules. To elaborate some of the points, I had also added comments, info and examples either from the author or myself in italics blue. During the 1987 financial crash, many people compare it the to 1929 depression due to many similarities. It is incorrect. The 1929 depression lasted for more than ten years into 1940s, on the other hand, throughout the ten years after the 1987 crisis, market recovered fast and actually quadruple in 1997. Rule 23: Don’t be influenced by the short-term (3 or 5 year) record of a money manager, bro­ker, analyst or advisor, no matter how impressive; don’t accept cursory economic or investment news without significant substantiation. The past outcomes are prior probabilities and not necessary reflecting the current practical situation. Instead, we need to evaluate the fundamentals a company and compare it with similar companies within the industry. It was mentioned: “One of most common questions is if the stock is so good why it don’t go up?” Contrarian explains that in most situations, it will take some time for the value (the input) of the stock to be recognized in the price (output) by the market. If investors demand immediate, though incorrect feedback, they can make serious mistakes as a consequence. Rule 22 to 26 seems easy but it is a lot harder to follow than we think. This is because of the cognitive psychology of biases indicated that even when people are warned of such biases they appear not to be able to adjust to the effects. It takes lot of concentration and effort and understanding to avoid these pitfalls. Rule 30: In a crisis, carefully analyse the reasons put forward to support lower: stock prices-more often than not they will disintegrate under scrutiny. The above charts show Singapore STI Index from 1995 to current & US S&P500 Index from 2008 to current. 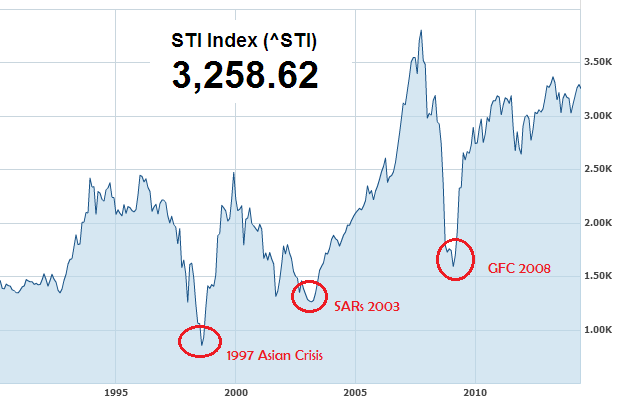 After the 1997 Asian Crisis, STI rose from below 1000 to 2500 points in 2000. Likewise after SARs 2003, STI rose from below 1500 to above 3500 points in 2007/08. Again after the Global Financial Crisis 2008/09, STI rose from 1600 to above 3000 points now in 2014. Similar trend is observed in the S&P 500 index. 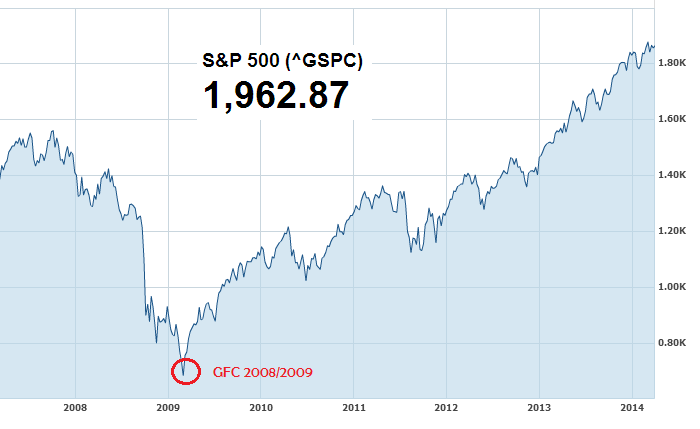 After GFC, it rose from below 800 to above 1900 points now in 2014. 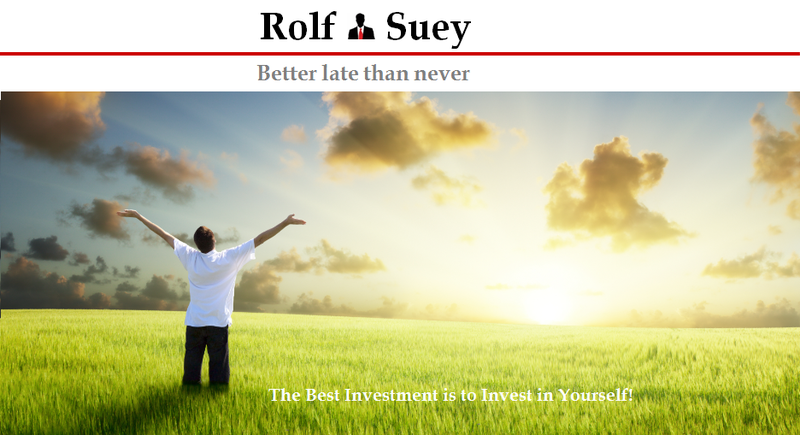 Therefore it is not difficult to understand why we should buy during situations of panic and sell during euphoria. It is also noteworthy that during crisis, even great companies will see its PE or PB ratios taken a hit and fall drastically. It is common. 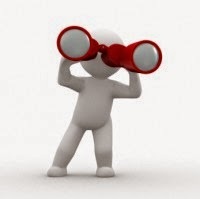 A good way to radar good stocks is to identify those that are still having sustainable dividend payouts. The better stocks even increase their dividend pay outs. Rule 31: (A) Diversify extensively. No matter how cheap a group of stocks looks, you never know for sure that you aren't getting a clinker. (B) Use the value lifelines as explained. In a crisis, these criteria get dramatically better as prices plummet, markedly improving your chances of a big score. During crisis, sometimes even good company may go wrong. Contrarian approach advises to have adequate diversification. For instance, a fund manager has $1million, do extensive research and put $200k (20%) of his portfolio into the banking industry. He then spread 200k investments into 10 banks or more such that each bank has less than 20k (2%) of the overall holding. So even if 1-2 banks collapse due to unprecedented cases, it will not be so bad. Some investor use volatility index (VIX) to track risk. Straits Times Index (STI) comprises the largest 30 companies by full market capitalisation that meets stated eligibility requirements. FTSE ST Mid Cap Index comprises the next 50 companies by full market capitalisation that meet stated eligibility requirements. FTSE ST Small Cap Index comprises of the constituents within the top 98% of the SGX Mainboard by full market capitalisation. They will also need to meet the stated eligibility requirements, but are not constituents of the STI and the FTSE ST Mid Cap Index. As of May 2014, Cambridge Industrial Trust is the largest constituent of STI small cap company with a market capitalisation of approx S$960mil. Refer to link for FTSE ST Index series.